Almost every aspiring entrepreneur have heard that the most effective way to learn is through failure. But what about learning from success? In this PhD seminar you will have a chance to see the learning outcomes from both failure and success. 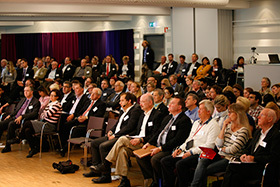 Aktiviteten arrangeras av Stockholm School of Entrepreneurship.